Description • Airline style buckle allows one-handed release by patient. 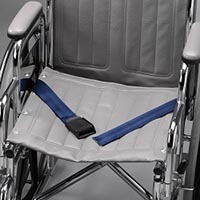 • Polyester webbing makes the belt ideal for shower chair use. Specifications • Airline style buckle allows one-handed release by patient. • Airline style buckle allows one-handed release by patient.